Melbourne’s certainly been doing pretty well for itself of late with Channel [V]’s celebrated Guerilla Gigs. Recently pop superstar Adam Lambert performed in the city’s Federation Square for hordes of loving fans. 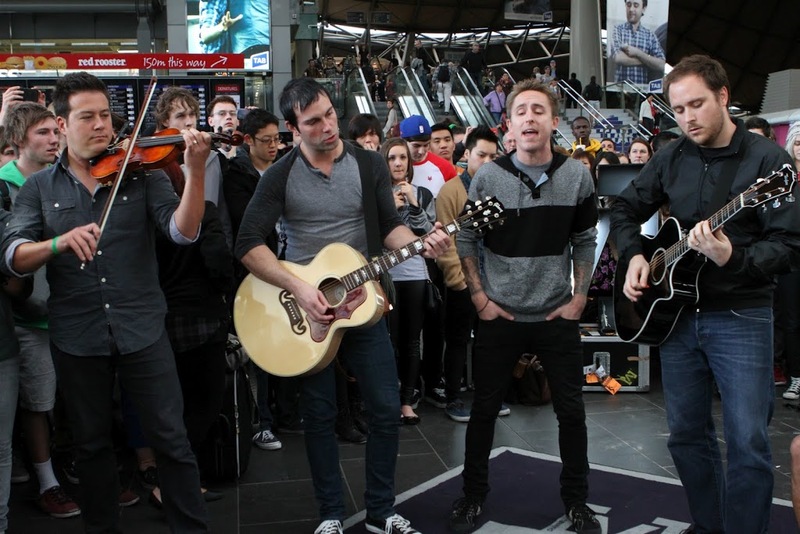 But the [V] team has done it again, this time at Melbourne’s Southern Cross train station, where pop-punk outfit Yellowcard dropped in on Friday. With around 250 people crowded around them, the band played singles ‘Ocean Avenue’ and ‘Sing For Me’, along with the track ‘Always Summer’ from their latest album. Given the weather is starting to improve across the country, more Guerilla Gigs are planned in the months ahead, but for hints and tips as to where, you’ll have to keep posted via the Channel [V] Facebook page or at www.vmusic.com.au.